The fact that a boy is an Eagle Scout has always carried with it a special significance, not only in Scouting but also as he enters higher education, business or industry, and community service. The award is a performance-based achievement whose standards have been well-maintained over the years. Not every boy who joins a Boy Scout troop earns the Eagle Scout rank; only about 5 percent of all Boy Scouts do so. This represents 2 million Boy Scouts who have earned the rank since 1911. Nevertheless, the goals of Scouting—citizenship training, character development, and personal fitness—remain important for all Scouts, whether or not they attain the Eagle Scout rank. 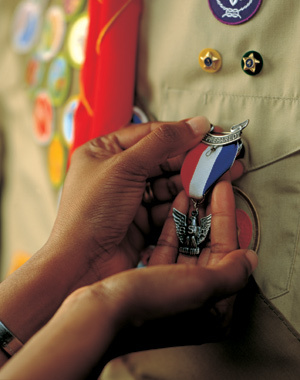 Eagle Rank requirements include earning a number of merit badges and demonstrating Scout spirit, service, and leadership. This includes an extensive service project that the Scout plans, organizes, leads, and manages. Eagle Scouts are presented with a medal and a badge that visibly recognizes the accomplishments of the Scout. Life to Eagle Checklist (PDF) - please read the Life to Eagle packet for further details. May we suggest that letters be written to state and Federal officials, requesting congratulatory letters/ certificates to be sent to the Eagle Candidate. Provide the Eagle Candidate's full name, address, unit number, and date/place of the recognition ceremony. The websites below will assist you with address information. Also consider your local mayor, school superintendent, school principal, minister, priest or rabbi, etc. State Governors – Select your state to access contact information for your governor. State Legislators – Get the names of your state legislators. 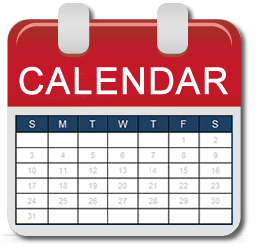 In order to assure a more timely request for commendation letters/certificates, we suggest you contact elected officials through their local offices or online request forms. Below are links to scholarships that are available to Eagle Scouts.